PEEL the carrots and roughly chop hem, the larger the pieces are the longer they have to cook. PEEL and coarsely chop the onion, the same applies to size. 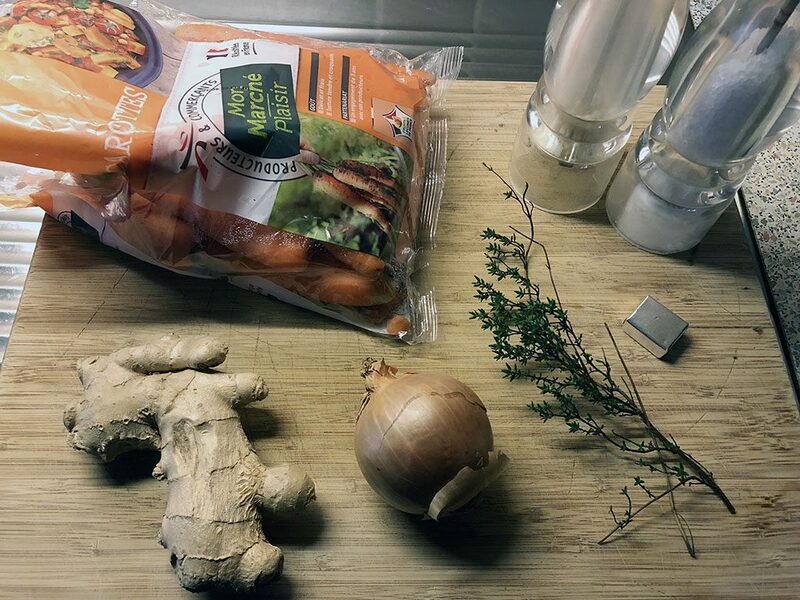 PEEL the ginger root and chop into pieces. HEAT a medium-sized pan without adding any oil or butter. SAUTE the onion for a few minutes before you add the carrots and ginger. SAUTE for a few minutes more and then also ADD the thyme sprigs and vegetable stock. 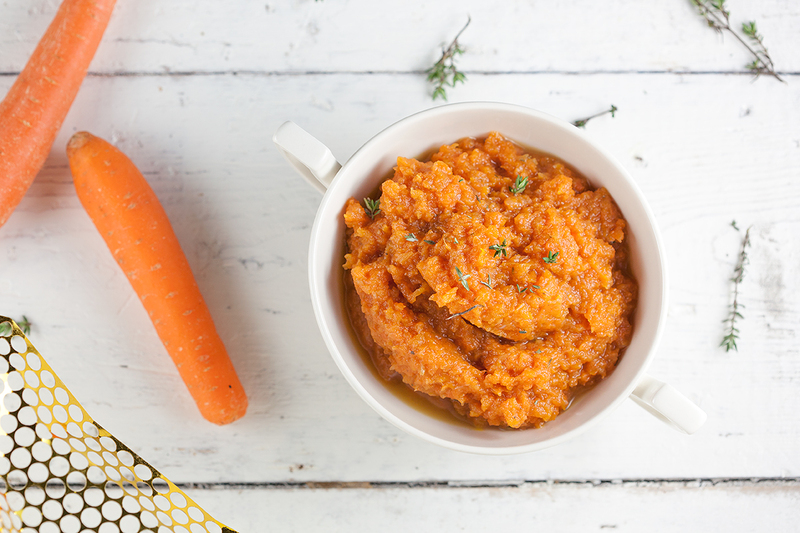 Put a lid on and let it cook on low heat until the carrot is soft. 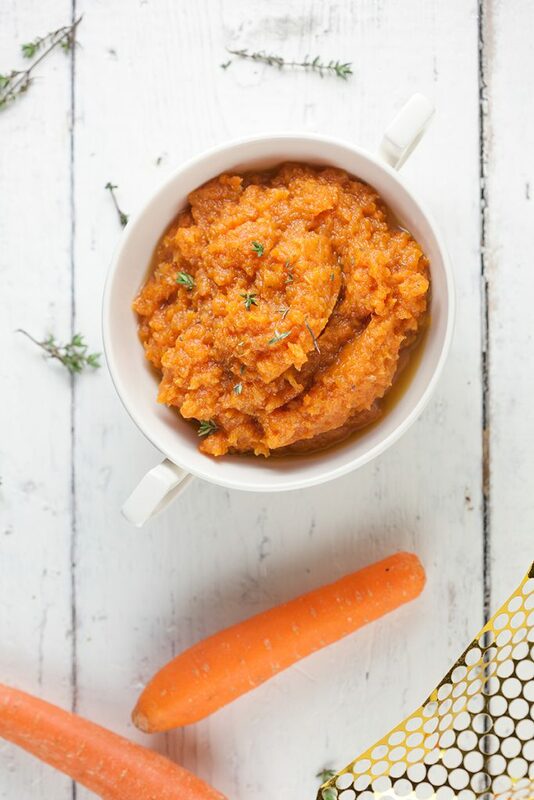 Make sure most of the moisture has evaporated, but to create a smooth puree it’s best to have a little stock left. REMOVE the thyme sprigs as soon as the carrots are soft enough. 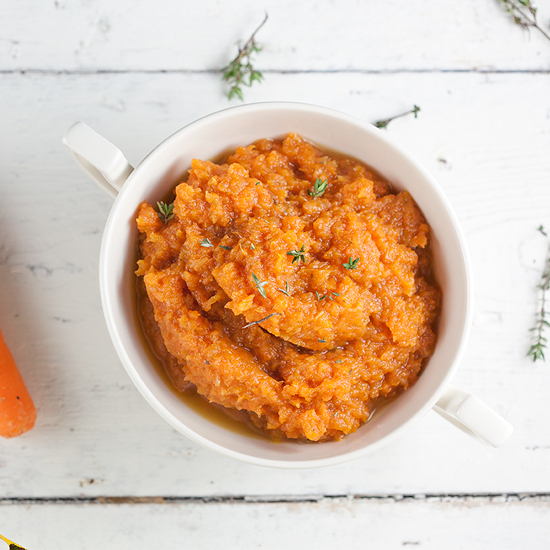 CREATE a smooth puree using an (immersion) blender or vegetable sieve. SEASON with pepper and salt and serve as a delicious side dish for a lovely piece of meat or fish. Enjoy!